Arrested for Drugs That Aren’t Yours? Know Your Rights! You should understand that this phrase is something police hear often. But just because many such denials are false doesn’t mean that they are all lies. Often, when police find drugs in a home or vehicle, the owner or occupant is the primary suspect. Unless he or she can prove on the spot that someone else had access to the area and may be owner of the drugs, they will likely be arrested. If this happens to you, it’s important to not resist arrest but instead be polite and respectful. At the same time, avoid offering any information other than your identity. Indeed, it’s best not to answer any police questions until you get an attorney to represent you. Otherwise, you may say things which could be used against you at a later time during your defense. Keep in mind that even if you’re arrested and charged with drug possession, you may be able to get the charge dismissed at a later time with help from a skilled drug possession defense lawyer. Your attorney can find evidence to build a case that the drugs did, in fact, belong to someone else. To start, your defense lawyer can work to establish that you weren’t the only person with access to the home, vehicle or other place where illicit drugs were found. That way, it could be suggested — if not established — that someone else owned the drugs. Prosecutors have the burden of proving that the drugs found or seized by police did in fact belong to you. Establishing that another person or other people had access to the place where drugs were found is one way to refute this. Your defense lawyer can also fight to prove several other things in your defense. These include proving that you didn’t know the drugs were present; that you didn’t know the drugs were illegal (perhaps they were doctor-prescribed); or that police lacked the legal right to search you or your property. If police didn’t have “probable cause” to search your home, your car or your person for drugs, then that was an illegal search, and the evidence would be disregarded. Your protection from searches without probable cause is provided by the Fourth Amendment of the U.S. Constitution. Lastly, if you have no previous drug charges on your criminal record, your prior history can also be cited to assert that you should not be suspected of possessing drugs. Your charge may also involve a distinction between “constructive” possession and “actual” possession of drugs. Constructive possession means you didn’t own the drugs but were aware of their presence in the area where they were found by police. Actual possession means police found the drugs on you, perhaps in a bag you were carrying or in a pocket or elsewhere on your clothing. With these strategies in mind, you may be able to get your drug possession charge dropped and avoid trial. But first, you need to find a knowledgeable drug crime defense lawyer to handle your case. Texas drugs laws can have severe punishments. You need an attorney to fight for your legal rights. 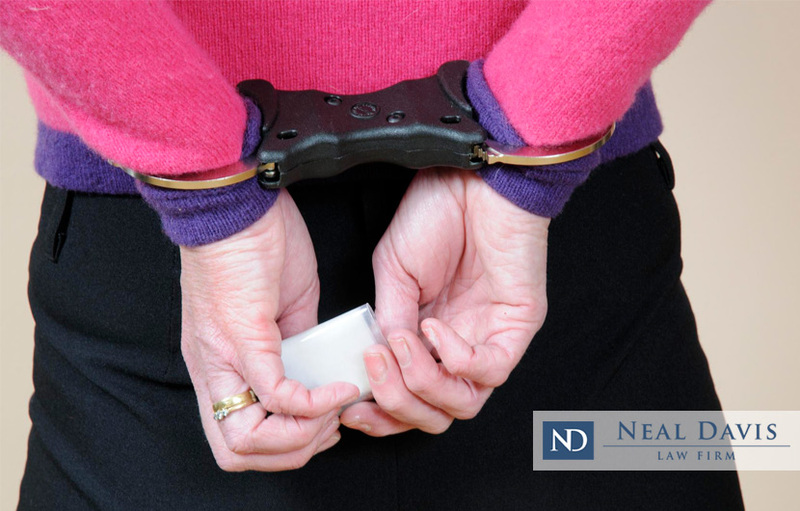 If police found drugs which were not yours, contact the Neal Davis Law Firm for a free legal review of your case.